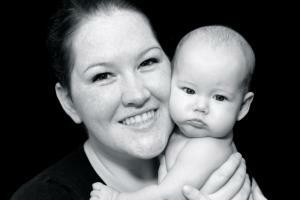 Professional infant photography has experienced a boom in business since the mid-1990s. More than ever before, parents are looking to document their precious bundles of joy in unique settings and unusual poses. Infant photos are heartwarming, uplifting and a reminder of cherished moments in time. For many first-time moms and dads, money is no object when it comes to capturing their infants in various stages of babyhood. Parents are eager to take advantage of the advances in photo technology in order to frame treasured images of their pride and joy. For professional photographers that specialize in infant picture-taking, this spike in popularity has resulted in big business. However, to remain competitive, the pros are forced to take their passion to new levels in order to distinguish themselves from other shooters and entice parents to select them to photograph their beloved offspring. Gone are the days when professional photographers simply placed a naked baby on a rug and shoot a series of shots. Professional infant photography morphed into a sophisticated genre capable of producing high-quality artistic images that will last for generations. If you want to capture Anne Geddes-type photographs of your infant, then you are better off hiring an individual photographer who specializes in personalized newborn and infant images than a photographer who takes family portraits. By hiring a photographer dedicated solely to taking pictures of infants, you have more flexibility in scheduling and venues. Most professional infant photographers, who work alone, do not limit picture-taking to the inside of a sterile studio; rather they use the client's home, baby nursery, parks and other outdoor spaces to create personal and meaningful backdrops to their stunning images. In addition, private photographers allow you to choose between color or black and white prints, plus a host of other editing services. The downside to these one-of-a-kind shots is that they often cost a pretty penny. Depending on the venue, length of shoot, and number of photos ordered, a personalized infant photographer can charge up to $500 for her services. These studios are more than willing to take pictures of infants; however, they don't offer the same personalized services as individual professional baby photographers do. In addition, since the photo sessions take place inside a studio, your child has to adjust to an unfamiliar environment. The upside to selecting a generic photo service to snap keepers of your cutie is significantly lower prices than those charged by private photographers. Clean and Classic: Make your infant the focus on the shot. Get rid of excessive clutter in the background or anything else that distracts from the child. 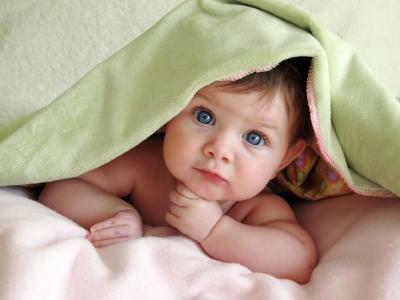 A clean and classic photo shows off the beauty of an innocent infant. Lighting: Try to use as much natural light as possible. If you shot indoors, then open windows or doors to flood the room with all available natural light. Conversely, if you are shooting outdoors, make sure to pose the infant in the shade and not in the direct noonday sun, as the latter cause unwanted shadows and squinted eyes. Timing: Expect to work around an infant's nap and feeding times. Don't try to photograph an infant when he is hungry or tired and expect to get stellar results. Rather, aim to shoot when a baby is well rested and has a full stomach. Finally, practice patience when photographing antsy infants. Babies are notoriously unpredictable, so don't get agitated if your shoot doesn't go as planned. Allow some flexibility in your schedule, so that you can work with the baby's moods. Often, some of the best infant photos happen when you least expect them.